Changes in food plans annoy me as they force me out of my comfort zone to make replacement decisions on the spot. While it isn’t a matter of life and death, it’s not something I fancy doing because that’s what I do at the office. 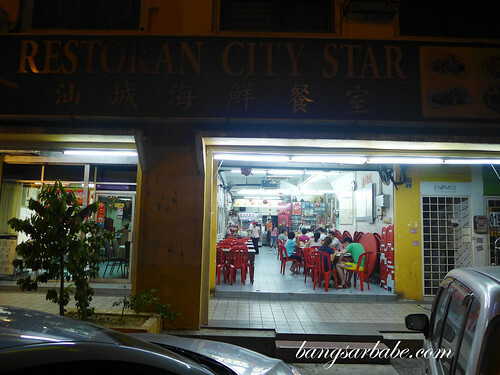 But a decision had to be made that night – City Star Restaurant, as the restaurant of our choice wasn’t open for business. While I’ve never been to this restaurant, rif has, with a bunch of colleagues several years back. 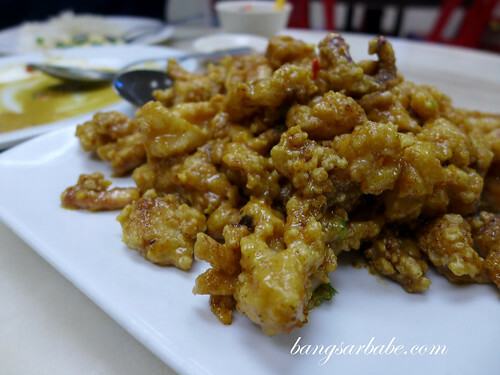 We didn’t order much that night as there were just four of us – buttermilk pork chop, salted egg yolk squid, steamed three coloured egg, tau foo kang and a vegetable dish. My expectations were moderately set but the food still did not impress. 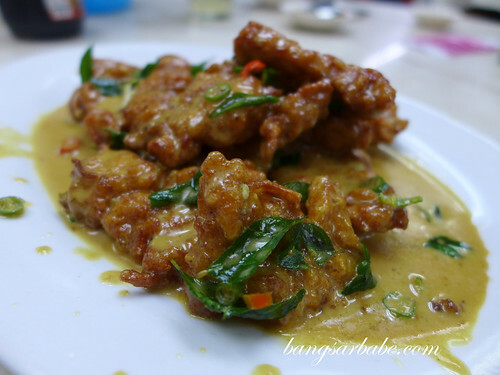 The pork chop was fairly tender and crisp on the outside, while the buttermilk sauce was rich, fragrant and mildly spicy from the addition of chilli padi and curry leaves. This was quite tasty with rice. 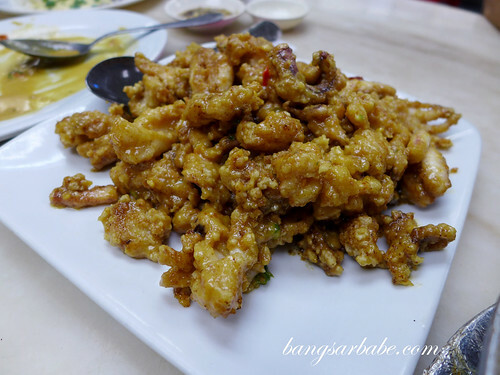 I thought the salted egg yolk squid was cooked well – the squid was perfectly tender and generously coated with salted egg yolk mixture. Good thing we ordered a large plate, for this was highly addictive. 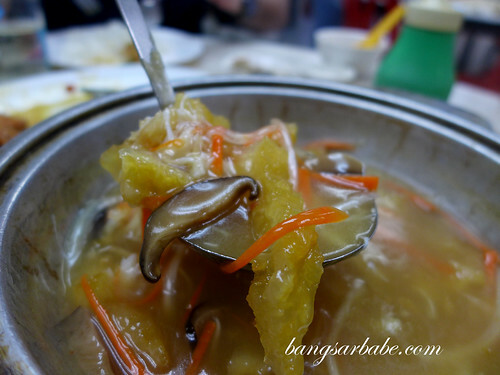 Skip the tau foo kang, a thick broth of tofu, minced meat and vegetables. This was the worst I’ve tasted as the soup was bland, gluey and hardly appetizing. Copious amounts of vinegar and soy sauce couldn’t even save this. 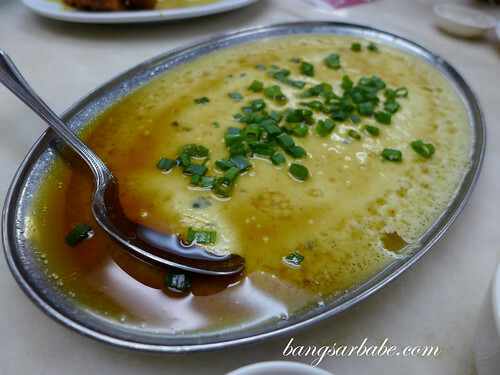 The steamed three coloured egg was passable, although texture of the egg base could have been smoother. Good thing is, they were pretty generous with the century egg and that happens to be my favourite. 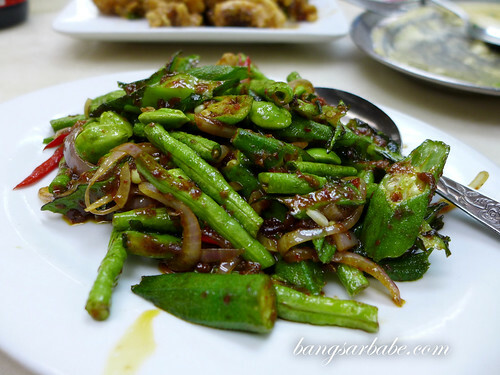 Four heavenly kings comprised four types of vegetables – long beans, petai, brinjal and winged beans, cooked with sambal and dried shrimp. 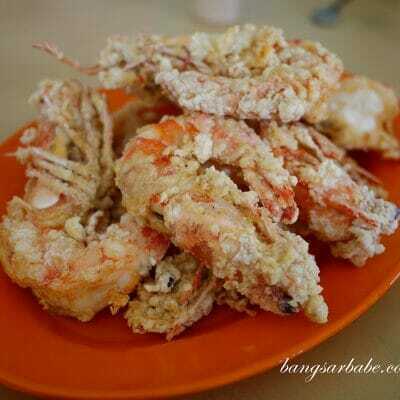 I didn’t care much for this as the sambal didn’t pack enough oomph and it wasn’t aromatic. Our bill came up to slightly over RM100; fairly reasonable for the above. That said, it’s not a place I’m aching to revisit. If I happen to be in the neighbourhood, maybe. Verdict: Average food. Skip the tofu soup. Give a try at Restoran 126 just next to it, found this little gem few years back and keep coming back until today, they serve pretty good bittergourd pork noodle.